Get competitive quotes on outdoor advertising in Fargo! Fargo is the most populous city in North Dakota and is a great location for outdoor advertising. Take advantage of transit and bus advertising to spread your campaign all over the city. Or, consider placing a billboard along I-29, I-94 or 13th Avenue South to target shoppers at West Acres Mall. 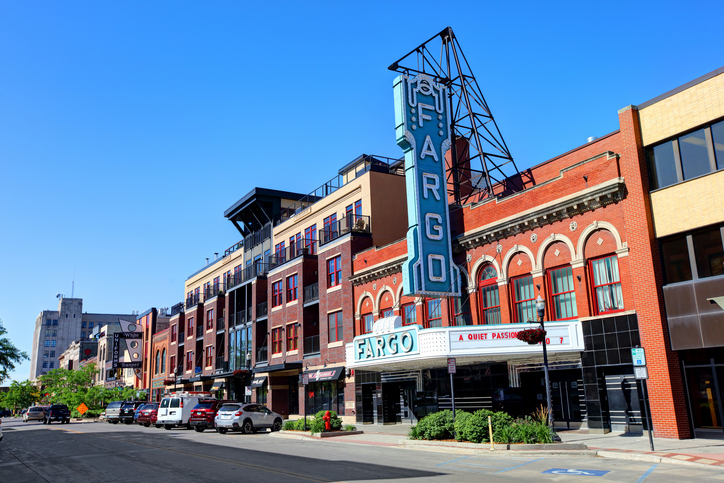 The city is host to several entertainment venues such as the Fargo Theater and Fargodome in addition to the Plains Art Museum and Fargo Civic Center. The home to North Dakota State is full of fun activities and close to Hector International Airport establishing the city as a top spot for your next campaign. Select an ad format below to learn more. Or, begin by browsing BillboardsIn’s database of OOH options to get started on your campaign in Fargo.